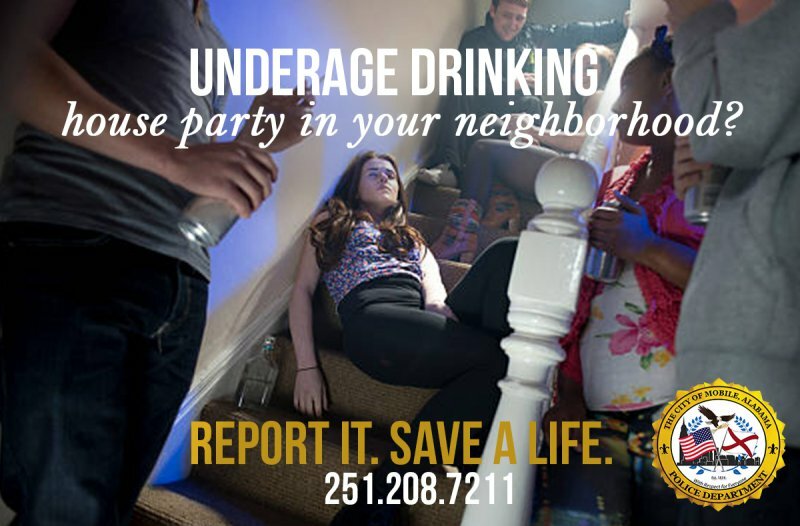 Citizens are urged to alert the Mobile Police Department about underage drinking house parties. If you observe or know of someone facilitating an environment for minors to consume alcohol, report it immediately. Call 251-208-7211. The MPD Office of Strategic Initiatives, in conjunction with other law enforcement and governmental agencies and the Drug Education Council of Mobile, is working to eliminate the sale and consumption of alcohol to minors in our community.